Joy Kay Millett, our loving mother, grandmother, and great-grandmother passed away on November 19, 2018 in Salt Lake City, Utah. Born July 9, 1937 in Salt Lake City, Utah to Wilford Francis and LaVerla Day Kay. Married Larry R. Millett on April 15, 1955 in the Salt Lake City Temple. 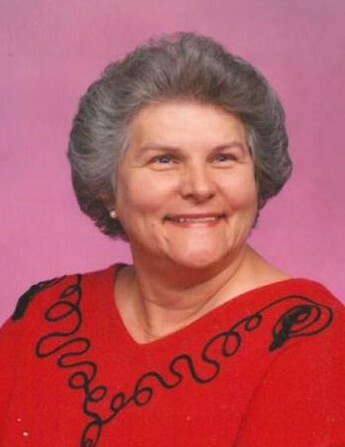 Joy was a devoted wife and her greatest calling was that of a mother to her eight children, eighteen grandchildren, and five great-grandchildren. Joy was a member of the Church of Jesus Christ of Latter-day Saints and served in many auxiliaries, including; Primary, Relief Society and as a Temple worker in the Salt Lake City Temple. Her loving husband Larry, of 62 years, preceded Joy in death. She is survived by her children: Ann Morgan, Calvin Millett (Jessica), Karen Millett, Bruce Millett (Cindy), Bryan Millett (Julie), Kevin Millett (Mindy), Scott Millett (Jennifer) and Michelle Matson (Marty). Funeral services will be held on Saturday, December 1, 2018, 12:00 p.m. at the LDS Chapel at 4500 South 2700 East. A visitation will be held Friday, November 30, 2018 from 6-8 p.m. and the day of the service at the church from 11-11:45 a.m. Interment at the Draper City Cemetery.